Strands is brought to you by our lovely clients over at First10, a delicious Indian dinner at Cat's Pyjamas, a solid working day, a few pints at the pub, a canal walk, Antonia & Ronan, Leo, Patricia, a serendipitous encounter with a randomly appearing Stevie on the train from Leeds, CamelUp, a tapas lunch with a friend from Facebook, pastries from Soho, wine from china, and duck from Chinatown, because London, you're so cosmopolitan. With work dominating this trip, we're leaving London without having seen enough people, but so it goes. Next week, we've got a guest curator for Monday, and a blast from the past on Thursday. We'll be fielding a few conference calls from Mexico, while also beginning to put together some thoughts for 2019.
to discuss some collaboration opportunities. 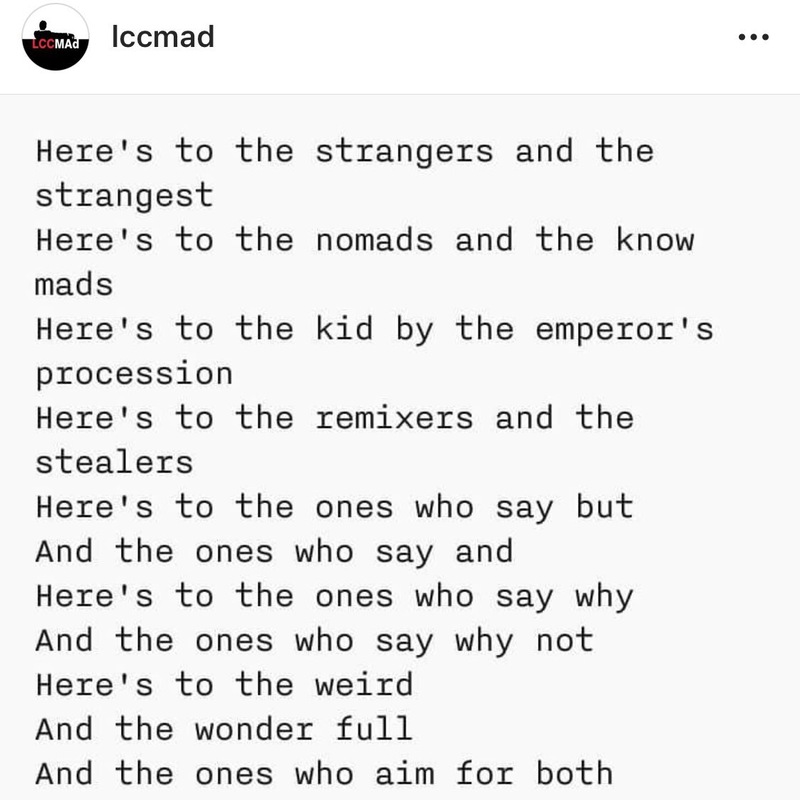 He also wrote us a poem on Instagram! Want to collaborate with Rosie and Faris? They are a husband and wife team that consult, speak, write, teach, strategize, facilitate & generally play well with others. You should definitely get in touch. Copyright Â© 2018 Genius Steals LLC, All rights reserved.